The Agardhfjellet Formation (Middle Jurassic to lowermost Cretaceous) of Svalbard (Norwegian Arctic) is well known for its abundant and unique marine reptile fauna, of ichthyosaurs and plesiosaurs. In an attempt to reconstruct the palaeoecology and palaeoenvironment of the Agardhfjellet Formation, a study of the invertebrate fauna, geochemistry and stratigraphy was conducted. During this study numerous small vertebrate fossils were encountered. Only a few reports of Jurassic teleost from the Arctic were known previously, from the Agardhfjellet Formation on Svenskoya, Kong Karls Land, described as Leptolepis nathorsti, and at Lardyfjellet, East Spitsbergen. We describe more teleost material from the Kimmeridgian and Volgian of the Agardhfjellet Formation in central Spitsbergen and assign a new age, Kimmeridgian, to the original material. 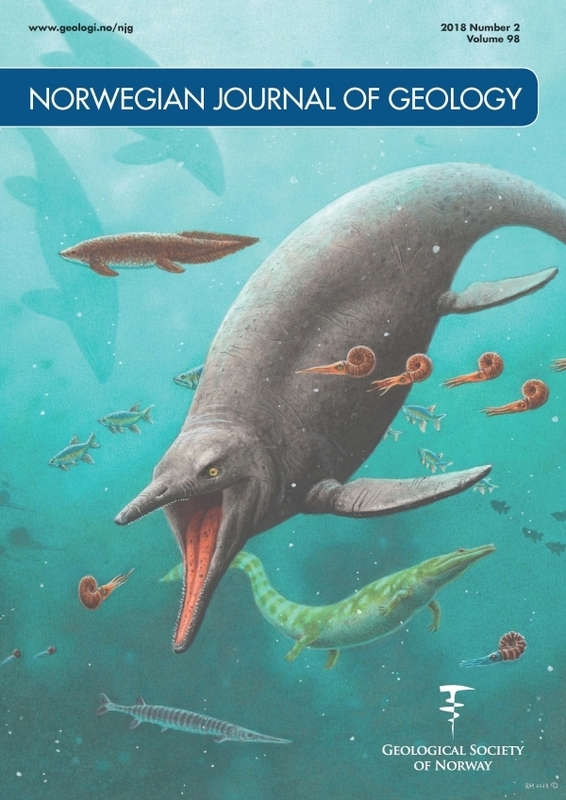 This new material also provides more information on the palaeoecology of the Jurassic of Svalbard, showing that fish were probably common in the pelagic fauna of central Spitsbergen together with the better known cephalopods, and could have been important elements of the diet of the marine reptiles.